Believe in Israel. Believe in Peace. (SYRIA) S.1681: Introduced 11/12 by Sen. Feinstein (D-CA), the "Intelligence Authorization Act for Fiscal Year 2014." Report from Select Committee on Intelligence filed 11/13 (113-120). Sec. 323 of the bill, entitled "Reports on Chemical Weapons in Syria," lays out in detailed reporting requirements regarding chemical weapons in Syria. (IRAN) H. Res. 147: Introduced 4/10 by Rep. Cassidy (R-LA) and having 78 cosponsors, "Calling for the release of United States citizen Saeed Abedini and condemning the Government of Iran for its persecution of religious minorities." On 11/13, the House Foreign Affairs Subcommittee on Middle East and North Africa marked up H. Res. 147 and passed it by a voice vote. Also see statement by Cotton (R-AR) 11/13, on the resolution. (IRAN) McCaul, R-TX, et al letter: This week, a bipartisan group of pro-more-Iran-sanctions House members circulated a Dear Colleague letter seeking cosigners on a letter to Senate Majority Leader Reid (D-NV) and Republican Leader McConnell (R-KY). The letter urges the leaders and their Senate colleagues to "act swiftly to continue consideration of rigorous Iran sanctions legislation." Taking on concerns about new sanctions undermining diplomacy, the letter assures Senators that, "The deliberative process in Congress is lengthy, and many steps remain before legislation on Iran would be sent to the President. We believe, therefore, that the Senate can continue the work necessary to develop sanctions legislation without fear of short-circuiting diplomacy." For reporting on the letter, see this article in Politico. (IRAN) Coffman et al letter: This week, Reps. Coffman (R-CO), Sessions (R-TX), Westmoreland (R-GA), Gerlach (R-PA), and Cotton (R-AK) were seeking cosigners on a letter to Kerry opposing any sanctions relief until "the Iranian government terminates its program of nuclear enrichment beyond what would be needed for peaceful purposes". The letter included a thinly-veiled threat that Congress will use its legislative authority to block any agreement that involves sanctions relief but does not mean this bar, noting "Although the Administration seems intent on moving forward on reaching a deal with Iran, Congress still has a prominent role to play when it comes to removing the sanctions..."
(IRAN) Letter or Resolution: It is being reported that House Foreign Affairs Committee Chairman Royce (R-CA) wants the House to pass a resolution setting red lines for a deal with Iran. The Hill reported 11/13 that Royce favors a "bipartisan House resolution that would require certain conditions be met for the administration to lift sanctions on Iran." Reportedly, Royce said, "Our next step will probably be a resolution in the House, which will express the necessity of going into these negotiations with a stronger bargaining position. And that bargaining position would include additional sanctions." The same article reported that Ranking Minority Member Engel (D-NY) was leaning toward a bipartisan letter, rather than a resolution. Smart money is that some kind of a letter is more likely, given political pressures from all sides. For more on the views of HFAC leadership and members on the issue, check out testimony and video from the 11/13 hearing in the HFAC on Iran (details/links in Section 4, below). This week, in the wake of the almost-deal in Geneva, things get even more interesting. The ADL: On November 11, the ADL issued a press release harshly critical of the Obama Administration's negotiating efforts and calling for immediate action to impose new sanctions on Iran. The statement implies that Foxman had given the President "the benefit of the doubt" but no longer could do so, because commitments made to him by the President had been broken. based on a number of factors,' including Kerry's comments and the administration's approach to Iran. As a result of the recent developments, Hoenlein, who was among four Jewish leaders who met with White House officials last month to discuss the administration's position on Iran sanctions, said that his group and others were pushing for another meeting 'as soon as is possible.' ... 'There is no doubt that our position and concerns will be heard,' Hoenlein promised." CBS News (New York) quoted Hoenlein 11/8 as denigrating the potential Iran deal, stating, "The deal as described would set them back 24 days." (AIPAC) On 11/13, a New York Times report offered insight into AIPAC's broader approach on the issue: "...if a diplomatic breakthrough is achieved, Aipac is ready to mount an aggressive campaign to stop it, according to one person familiar with its thinking." Notably, both Americans for Peace Now and J Street are urging supporters to tell their Senators to oppose new sanctions at this time. One again, stay tuned for more fun and games in the weeks to come. In the wake of the near-deal in Geneva last weekend, things (predictably) heated up on the Hill this week with respect to the debate over Iran sanctions. The week started with a flurry of reports, both in the U.S. and Israeli press, to the effect that Israel would directly lobby Congress against an Iran deal and in favor of new sanctions. Central to these reports was the conveniently timed visit to Washington of Israeli hard-line politician Naftali Bennett, who reportedly used the visit to lobby members of Congress to oppose the Obama Administration's diplomatic effort in favor of Israel's view (that the deal being discussed is "a very, very bad deal" and that more sanctions and threats of military force are the way forward). 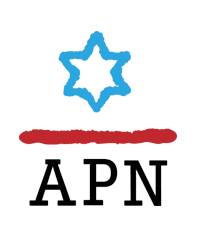 For media reports, see: Arutz Sheva 11/10; Times of Israel 11/10; Algemeiner 11/10: AFP 11/10; Yahoo 11/10. Also see this 11/13 Haaretz report by veteran political reporter/columnist Zvi Barel, expressing dismay with this Israeli approach: First we'll take Washington. A long list of mostly GOP members of Congress (i.e., GOP plus Menendez, D-NJ) lined up last weekend and since then to preemptively denounce a possible Iran deal and, in most cases, to demand immediate action on new sanctions. Without directly referencing Netanyahu, most of these member used similar terms to make the case that the deal under consideration last weekend was "very, very bad." Examples include: Holding (R-NC) 11/12; Menendez (D-NJ) 11/11 (Op-ed in USA Today); Corker (R-TN) 11/10; Kirk (R-IL) 11/10; Menendez (D-NJ) 11/10; Rubio (R-FL) 11/10; McKeon (R-CA) 11/9; Kirk (R-IL) 11/8; Royce (R-CA) 11/8; Engel (D-NY) 11/8; McCaul (R-TX) 11/8. Following the failure to reach a deal in Geneva last weekend, speculation mounted over whether Congressional efforts to block Iran diplomacy would now pick up steam. Early in the week it became known that Kerry would personally brief members of the Senate Banking Committee - the committee with jurisdiction over Iran sanctions - to explain U.S. efforts and to try to convince them to support the White House's policy and give time for diplomacy to continue. This effort appeared in some respects doomed in advance to fail, as some (mainly GOP) Senators made clear they had already made up their minds to reject (and in some cases condemn, belittle, and otherwise disparage) the Administration's efforts and to push ahead with new sanctions. These views may have been bolstered by the efforts of a range of groups that are engaged in advocacy on the issue, including not only the major Jewish organizations discussed above, but also groups like FDD, UANI, JINSA, and AEI. Finally, to the amusement of many, a number of members went so far as to warmly embrace France for its apparent role in blocking a deal last weekend. This is a somewhat bizarre turn of events, given the fact that France is better known for being hated than loved on Capitol Hill [one need only recall "Freedom fries" and the fact that one of the criticisms of Kerry when he ran for president was that he "looks French"]. Public Affairs Alliance of Iranian Americans 11/12: Should the U.S. Senate Place Sanctions Legislation on Hold? The Cable 11/12: White House Blasts New Iran Sanctions as "March to War"
The frenzied reporting over what Congress will or won't do with respect to new sanctions all occurred to a backdrop of editorials - from many of the most prominent newspapers in the country - siding with the Obama Administration in its plea to not scuttle the current diplomatic effort by recklessly pursuing new sanctions. Examples include: the New York Times 11/11; Washington Post 11/11; Bloomberg 11/11; USA Today 11/11; and the LA Times 11/10. Members of Congress Adopting Israeli Talking Points? "We, America, are not just hired lawyers negotiating a deal for Israel and the Sunni Gulf Arabs, which they alone get the final say on. We, America, have our own interests in not only seeing Iran's nuclear weapons capability curtailed, but in ending the 34-year-old Iran-U.S. cold war, which has harmed our interests and those of our Israeli and Arab friends. Hence, we must not be reluctant about articulating and asserting our interests in the face of Israeli and Arab efforts to block a deal that we think would be good for us and them. America's interests today lie in an airtight interim nuclear deal with Iran that also opens the way for addressing a whole set of other issues between Washington and Tehran. Some of our allies don't share those 'other' interests and believe the only acceptable outcome is bombing Iran's nuclear facilities and keeping Iran an isolated, weak, pariah state...."
The impact of Israeli positions on Congressional policies and politics became even clearer - and for many observers, troublingly so - following an 11/13 briefing by Secretary Kerry with Senators. Secretary Kerry reportedly implored Senators to give the Administration time to carry out its diplomacy and reassured them that the Obama Administration fully grasps the full complexity of the issues at stake. Reportedly, some senators challenged his points by referencing Israeli arguments - resulting in a back-and-forth in which Kerry suggested that U.S. Senators should be more attentive to what they are hearing from U.S. officials than what they are hearing from Israeli officials. Coming out of this meeting, Senator Kirk (R-IL) seemed to indicate whose perspective he found more convincing, as reported here: "'It was fairly anti-Israeli,' Kirk said to reporters after the briefing. 'I was supposed to disbelieve everything the Israelis had just told me, and I think the Israelis probably have a pretty good intelligence service.'" Another new outlet reported: "Sen. Mark Kirk (R-IL), who is preparing his own legislation to tighten sanctions on Iran, got into several heated discussions with the officials inside the classified briefing, he said. Kirk said the Israeli government briefed him on the proposed agreement Wednesday morning and told him the Iranian concessions would only amount to a 24-day delay in their progress towards nuclear capability--and in exchange, Tehran would receive billions of dollars worth of sanctions relief. 'The briefing was fairly anti-Israeli. I was supposed to disbelieve everything the Israelis just told me. I don't. I think the Israelis probably have a pretty good intelligence service,' Kirk said. 'The administration very disappointingly said 'Discount what the Israelis say.' I think that was wrong as a policy matter.'" Haaretz observed that, Kirk, "seemed to put more trust in intelligence assessments apparently given to him by Israeli officials than in Kerry's official presentation." Haaretz also noted that, "Kirk also adopted the Israeli comparisons of the Iran deal to the Munich Agreement, saying: 'Today is the day I witnessed the future of nuclear war in the Middle East.'" Jerusalem Online 11/14:Kerry to senators: "Stop listening to Israel"
As noted in last week's Round-Up, it is widely expected that there will be an effort in the coming days to push the Senate to adopt new Iran sanctions. The only questions are when this will happen and what will be the venue. The assumed preference of the White House and Senate Democratic leaders - including Senate Armed Services Committee Chairman Carl Levin (D-MI) - is that the venue be the Banking Committee, and that the timing be arranged to allow at least the next round of talks to go ahead without Congressional interference. Levin has reportedly made clear that he doesn't want Iran sanctions and other non-germane amendments to bog down the NDAA, which is likely to come to the Senate floor next week. With respect to timing, Politico reported 11/12 on Levin's viewpoint: "'We ought see what these negotiations produce. That's what I think ought to do consider taking action,' Levin said. He noted that Geneva-based P5+1 -- the United States, Russia, China, the United Kingdom, France, and Germany -- talks with Iran are still in the earliest phases and the Obama administration should be given more time to move forward. 'I think we ought to not interfere with the negotiations.'" Buzzfeed reported that in an interview on 11/13 "...Levin said he didn't know when the vote on NDAA would come and hoped it would not include an amendment on sanctions." VOA News reported 11/13 that Levin said, "I support maintaining tight sanctions against Iran...I don't support increasing them at this time because I think it could interfere with the negotiations and, I think, it could lose some of the support we have for sanctions, particularly with China and Russia." Others, most notably Senators Graham (R-SC) and Kirk (R-IL), are adamant that now is the time for new sanctions. Graham told Politico: "On our side, there's an overwhelming belief that a third round of sanctions is necessary. Democrats are probably split on that. I understand what [the White House is] telling us about destroying a chance for a peaceful outcome here by new sanctions. But I really think if the sanctions were crafted in the right way, where if the Iranians did things we didn't want them to do, that would be more helpful than harmful." As for Kirk according to the Daily Beast, "Kirk said he would use every legislative avenue available, including the upcoming debate over the National Defense Authorization Act (NDAA), to try to secure a vote on a new sanctions package." Also, on 11/14, McCain (R-AZ, of "bomb bomb bomb, bomb bomb Iran" fame) made his criticism of the diplomatic effort personal, calling Kerry "a human wrecking ball" with respect to the Iran issue. He reportedly suggested, however, that "there's little chance of passing new sanctions through the Democratic-controlled Senate." Finally, only one senator, Senator Chris Murphy (D-CT), has courageously issued a formal statement calling on the Senate to hold off on new sanctions. Also, Sen. Manchin (D-WV) reportedly said, following Kerry's Senate briefing, "I support Secretary Kerry's explanation of what direction and what needs to be done here and I support his intentions." 11/13: The House Foreign Affairs Committee held a hearing entitled, "Examining Nuclear Negotiations: Iran After Rouhani's First 100 Days." Witnesses were Mark Dubowitz, FDD (testimony); Danielle Pletka, AEI (testimony); and Colin Kahl, Georgetown University (testimony). Video of the hearing is available here. Opening statements: Chairman Royce (R-CA); Ranking Member Engel (D-NY); MESA Subcommittee Chair Ros-Lehtinen (R-FL). Ros-Lehtinen (R-FL) 11/8: (gloating statement) "UNESCO's Recognition of a Non-Existent Palestine Was an Affront to the Body's Own Ideals; The United States Must Continue to Withhold Funding to Any UN Body that Admits Palestine to its Membership in Accordance with U.S. Law"